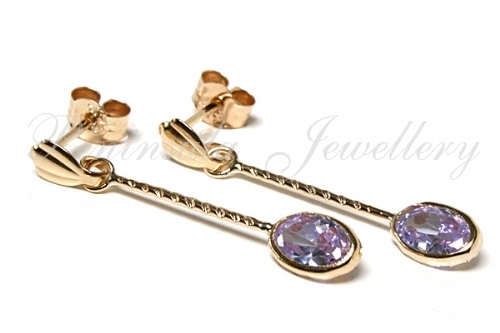 Classic style drop earrings featuring 6x4mm oval cut rub set Lilac Cubic Zirconia gemstones suspended on rope effect posts, with 9ct gold fittings. 26mm drop. Made in England. Presented in a luxury velvet gift box – Great Gift! !